Allowing myself to let go and enjoy being in the kitchen with my kids took a long time. I would be lying if I told you it didn’t. But you really need to let go of “your” kitchen and let the kids have fun in there with you! You just never know what they may come up with! 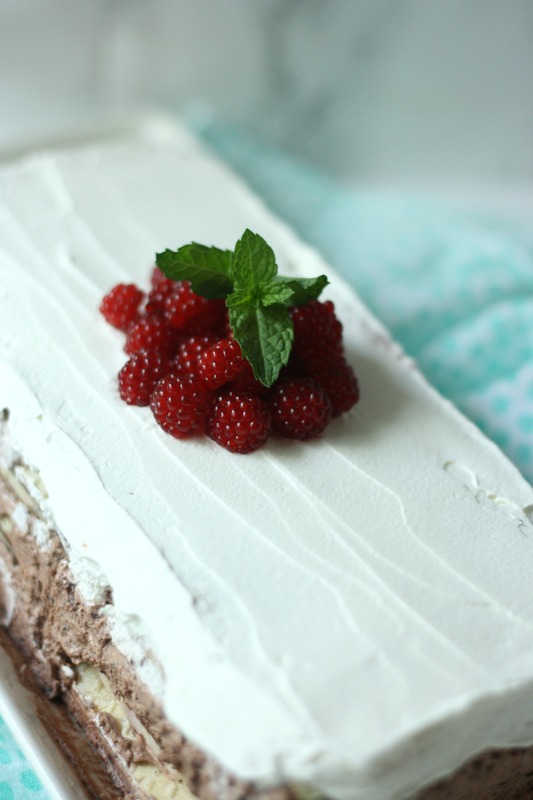 Like this Chocolate Raspberry Icebox Cake. *This is a sponsored post on behalf of Voortman. 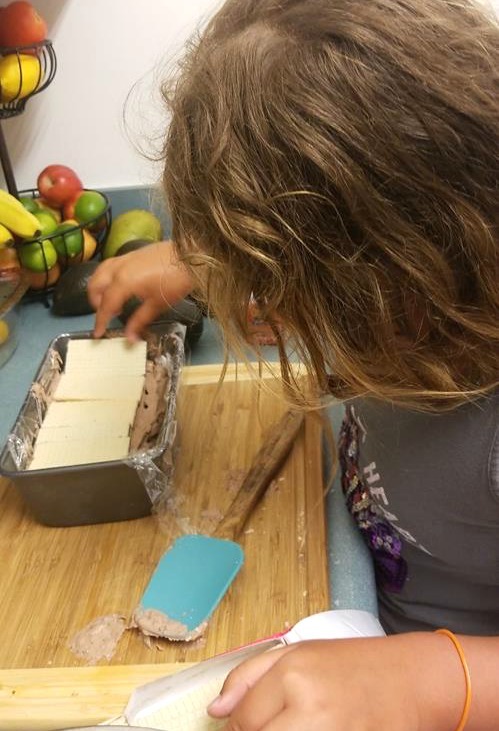 As a busy mom, I am always trying to create recipes that are easy and delicious. 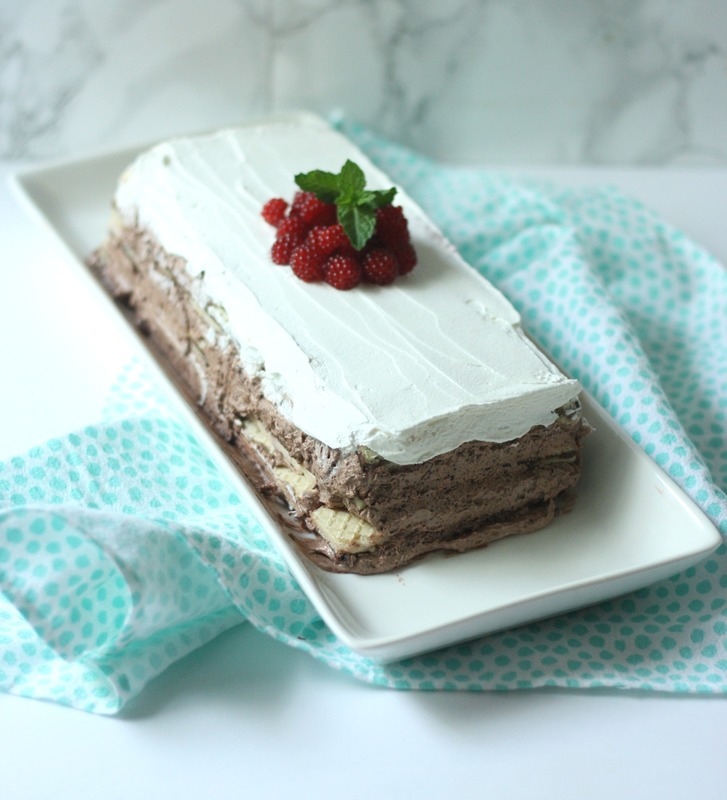 I love icebox cakes because they are no-bake and with the warm weather, it’s perfect! No one wants to heat up the house with the oven, right? 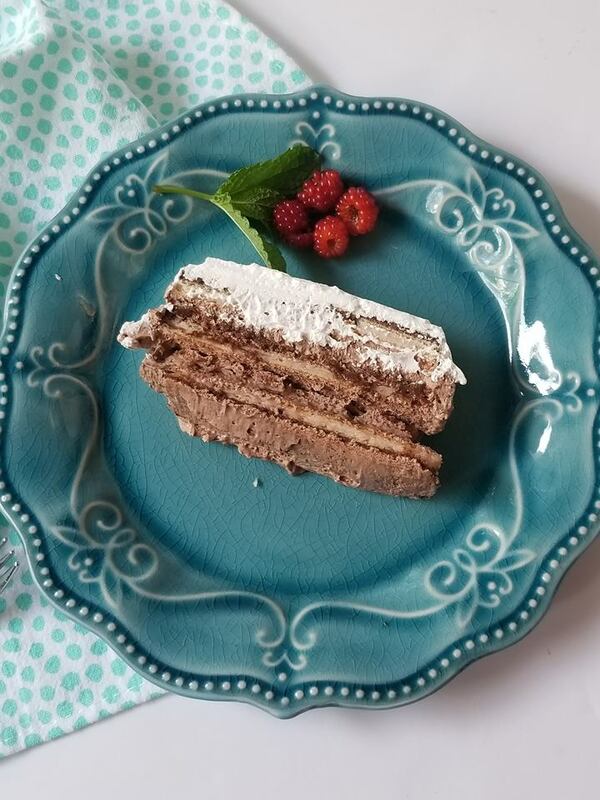 I have found that Voortman wafer cookies are so versatile and besides just enjoying them as is, they are perfect in recipes like this Chocolate Raspberry Icebox Cake! First, we want to make our filling. It’s super simple! 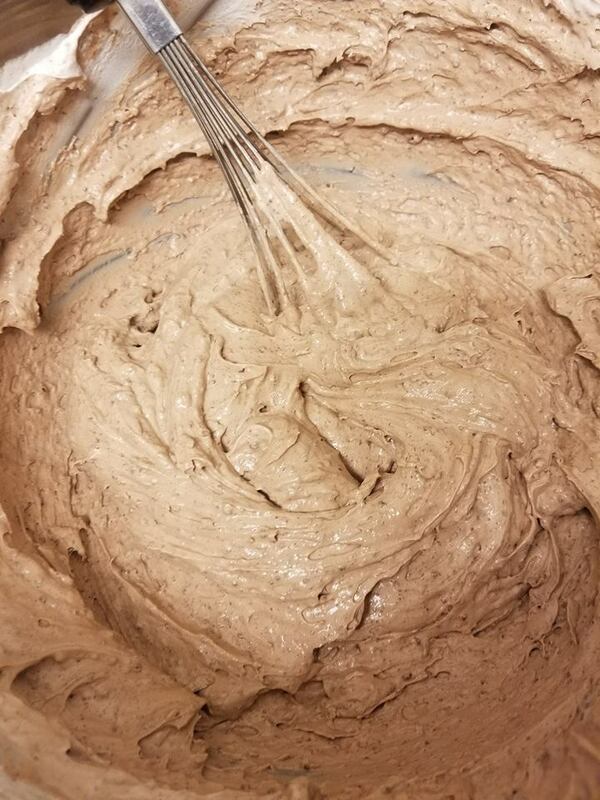 Just mix together 2 boxes of chocolate pudding mix with milk and then whip in a tub of cool whip. Look how fluffy! The easiest way to make sure you can get the icebox cake out of the pan, is to line a loaf pan with plastic wrap. To get the plastic wrap to stay in place, just the pan slightly with non-stick spray or even butter and then put the wrap on top. Spread a small layer of cool whip on the bottom of your pan. The bottom of your pan will eventually become the top! My daughter whipped together the pudding filling and then honestly? She kind of pushed me out of the way and put together the rest of the cake. I was totally OK with it, you know why? It’s just cake. What could happen? Her pride in making this super simple cake was so worth it and I really enjoyed just being in the kitchen with her! In a large bowl, mix together pudding with milk. Spray the bottom of a loaf pan with non-stick spray. Wrap the pan with plastic wrap. Spread about a half cup of cool whip on the bottom of the pan. Layer the bottom with wafer cookies. Top with additional wafers. Repeat until you reach the top, stopping with a layer of cookies. Wrap with plastic wrap and refrigerate for a minimum of 4 hours or overnight. Remove the cake from the pan, the bottom will become the top. Spread additional cool whip on the top and garnish with mint and fresh raspberries. 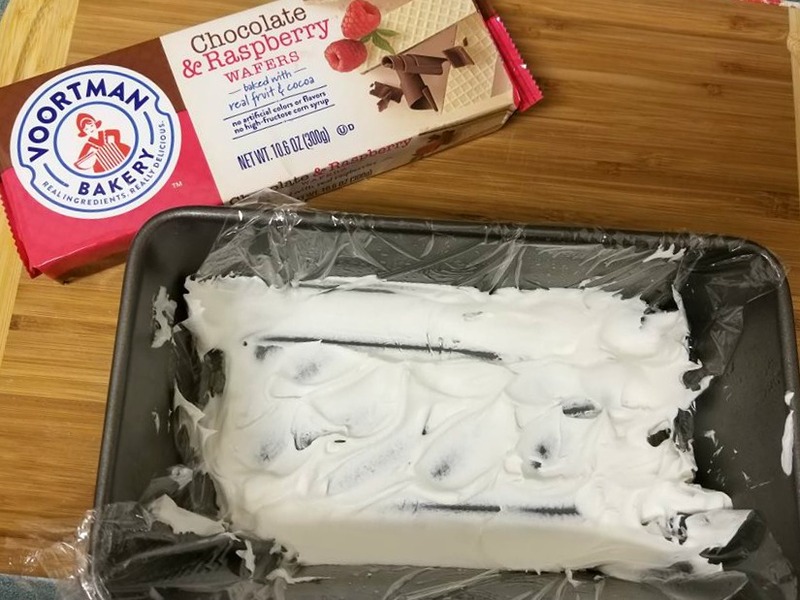 The Voortman Chocolate & Raspberry wafers were so delicious with this recipe. They are baked with real fruit and cocoa, plus they are made with no artificial colors or flavors and no high-fructose corn syrup. Oh and a quick tip? These Chocolate & Raspberry Wafers are amazing dipped in the extra pudding filling! Looks delicious Reesa . keep it up! WOW! I need this in my life! Your pictures and recipe make it look easy to follow. May have to make this this weekend! Oh yes please. I would just love this cake. And Raspberries. I’ll have to make this over the summer for sure. I’ve never had icebox cake before but this sounds delicious. I love that you use wafers in it. Holy yum! This sounds and looks so yummy. I’m going to have to have my oldest make this. This looks really good! I am going to hae my kids make this. It seems like something they could handle. This is something I’d love to have on hand in summer. It looks amazing with the chocolate and raspberries! Great combo. What a perfect recipe for me. I love cakes that no need to bake! Oh, wow. This cake recipe is so delicious and it looks so simple to make. I will definitely try to make this and I am sure kids will love this. I love easy to make desserts like this! Not a fan of raspberry though. I might need more chocolate for me but my mom would love this! This looks like a good one. I bet if I made this one my family would love it! Yum! That looks wonderful! I love anything with wafers in it! This looks so delicious! My son has been asking to bake something new together, I’ll have to give this a try! Oh this looks SO good right about now. I love chocolate and raspberry treats. Wow, this is an amazing dessert idea! It hits all the right spots on the tongue! This looks so good!! I could go for a slice right about now to indulge in!! I love chocolate and raspberries and this looks and sounds like a delicious treat! I would love to make this someday for my family. Oh my yum! I love Voortman wafers. I really need to make this. 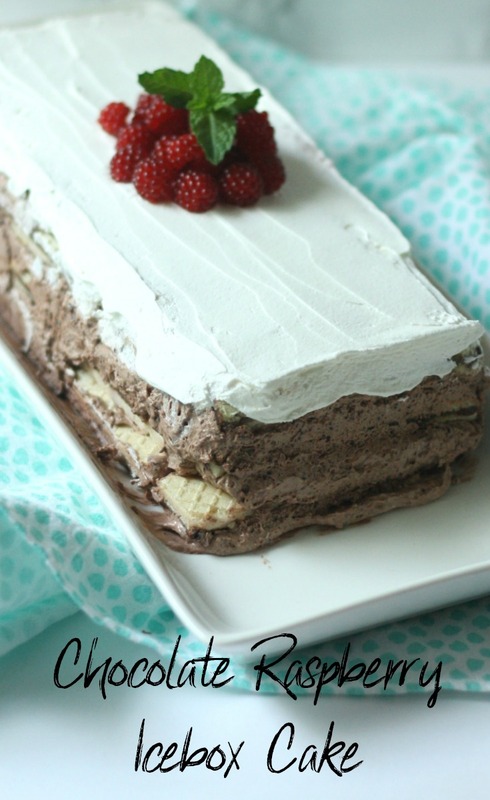 ice box cakes are my favorite for summer – they are so easy to make and oh so worth it! You can’t go wrong with chocolate and raspberries! I’m definitely making this for our dessert at family dinner. I have never made an icebox cake before. This recipe is very easy and I like the idea of the chocolate raspberry flavor combination! I have to show this to my daughter. This crazy California heat wave we’re having has made the oven absolutely off limits. No one told my sweet tooth that! Thankfully, I found this icebox cake. Yum! This is making me drool! Would love to give this a try! Now that looks divine! I am a chocoholic and I love raspberry too so that is perfect. Thanks for sharing the recipe. Two of my favorite foods in one cake = Yummy!!! This recipe sounds, and looks, divine! Thank you for sharing it! Looks so deliciously sweet. Thanks 4 sharing the recipe. It looks delicious. I know how hard it can be with kids in the kitches (expecially when they DON’T listen! )…frozen cakes and chocolate usually are the answers to all the troubles.